Tastefully decorated 2bd/2ba condominium located on the 12th floor of the 450 South Building of 440 West off Gulfview Boulevard in the heart of Clearwater Beach. 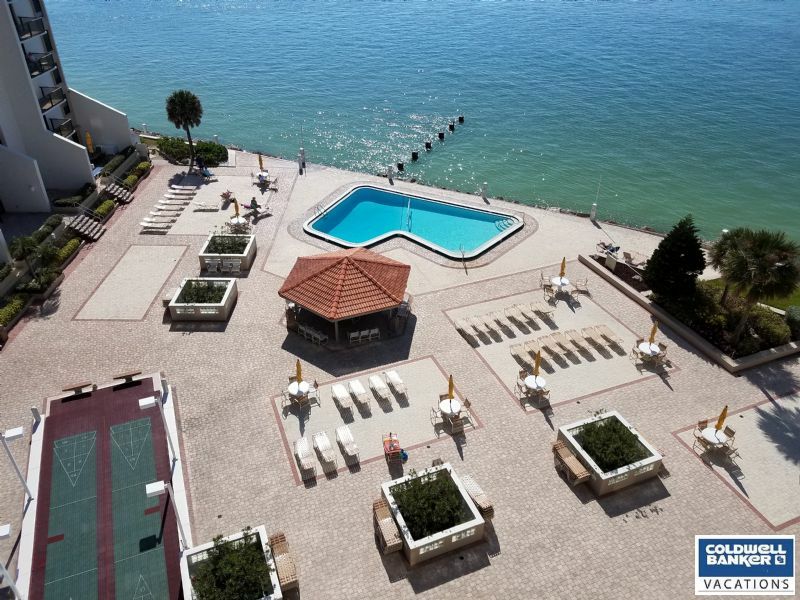 Experience all Florida has to offer while vacationing in this luxury location with views of the Gulf of Mexico or lounging poolside after strolling along the world famous Clearwater Beach Walk. Imagine yourself relaxing from your private balcony during sunset, eating a gourmet dinner in the spacious dining area or enjoying the respite of a comfortable couch all while taking stunning Gulf views from this remarkable vacation rental. Underground assigned parking. 30 day minimum rental and no pets. Wi-fi included.